Feds Add Coal-Dust Coverup Allegation To Mine CEO's Indictment : The Two-Way Six weeks before trial, the government accused Don Blankenship of hiding the true levels of breathable coal dust in a West Virginia mine that later exploded. He already faced conspiracy charges. Don Blankenship, former CEO of Massey Energy, faces trial on federal conspiracy charges related to the 2010 fatal explosion at the Upper Big Branch mine in West Virginia. Six weeks before a landmark mine disaster trial, federal prosecutors in West Virginia have added a new allegation to the criminal conspiracy charges lodged against former Massey Energy CEO Don Blankenship. 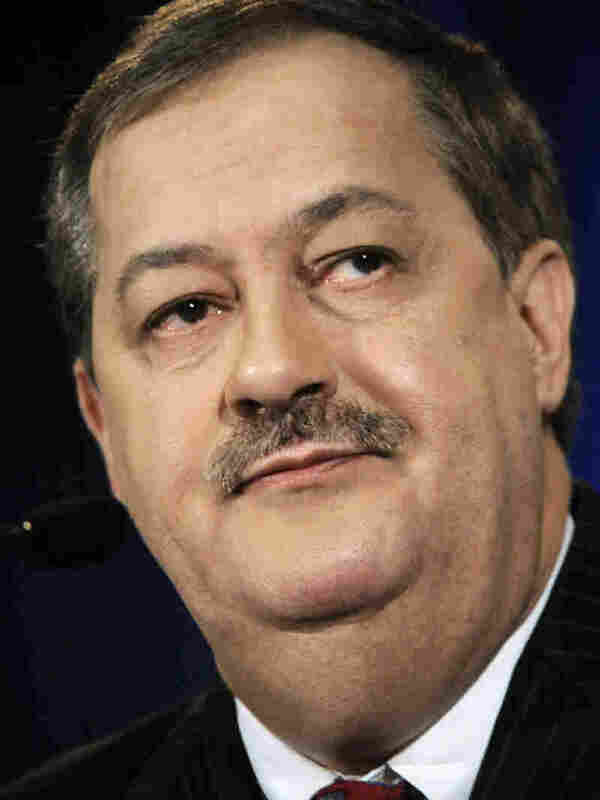 A superseding indictment filed Tuesday in U.S. District Court in Beckley, W. Va., accuses Blankenship of engaging in a conspiracy to falsify respirable dust samples and falsely representing the locations of sampling devices at Massey's Upper Big Branch coal mine before a massive explosion killed 29 miners in 2010. The samples and the devices are supposed to measure miners' exposure to the mine dust that causes the deadly disease known as black lung. Excessive levels of dust can force a slowing or shutdown of the mining machines that dig coal and generate mine dust. Autopsies showed that the Upper Big Branch victims suffered an extraordinarily high rate of black lung, even though some were relatively young and had spent relatively little time working underground. Of those with sufficient lung tissue for testing, 71 percent were afflicted with the disease — a rate ten times the average for southern West Virginia, where the mine is located. As NPR has reported, black lung has killed more than 70,000 coal miners in the past 40 years, and falsification of dust samples had been a widespread problem. Mine disaster investigators also reported that fraudulent coal dust sampling had been a common practice at the Upper Big Branch mine. The new allegation is included in existing criminal conspiracy charges, which accuse Blankenship of willfully violating federal mine safety law and putting coal production before safety in the two years before the mine disaster. The amended indictment also combines two counts in the original indictment into a single conspiracy charge. As Ken Ward of the Charleston Gazette explains, prosecutors seem to be responding to a Blankenship motion to dismiss the case. Blankenship is also charged with misleading Massey investors and the Securities and Exchange Commission about the company's safety practices. The case is a rare prosecution of a mining company executive for alleged safety lapses that preceded a deadly mine accident. It is scheduled to go to trial in Beckley, W. Va., on April 20.